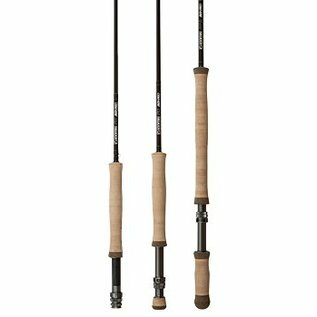 IMX Pro -- a knock-out fast action rod with top end loop control and quickness. The most casting power under $500 with tons of high end performance. A favorite at the lodge since day one.. 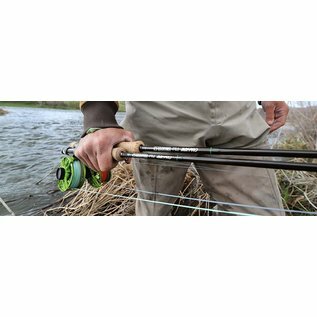 The IMX Pro: awesome fly rod for bigger water, for streamers, for nymphs, for that "trip out west", for boats, for wind...just a fast action rod with a smooth tip and excellent tracking...for Mio...for mousing...for a spare...for your first fly rod. 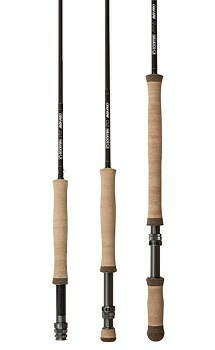 There is not a $1000 rod out there that makes this rod seem undergunned. Each rod in this line is made toward the goal of that rod: 15 purpose driven designs to meet the performance demands of modern freshwater fishing. Striking the ultimate balance of positive feel, and unflinching durability, IMX-PRO is a game-changing addition to the serious angler's quiver. 4-8wt.